Dedicated to introducing Korean antique treasures and arts. 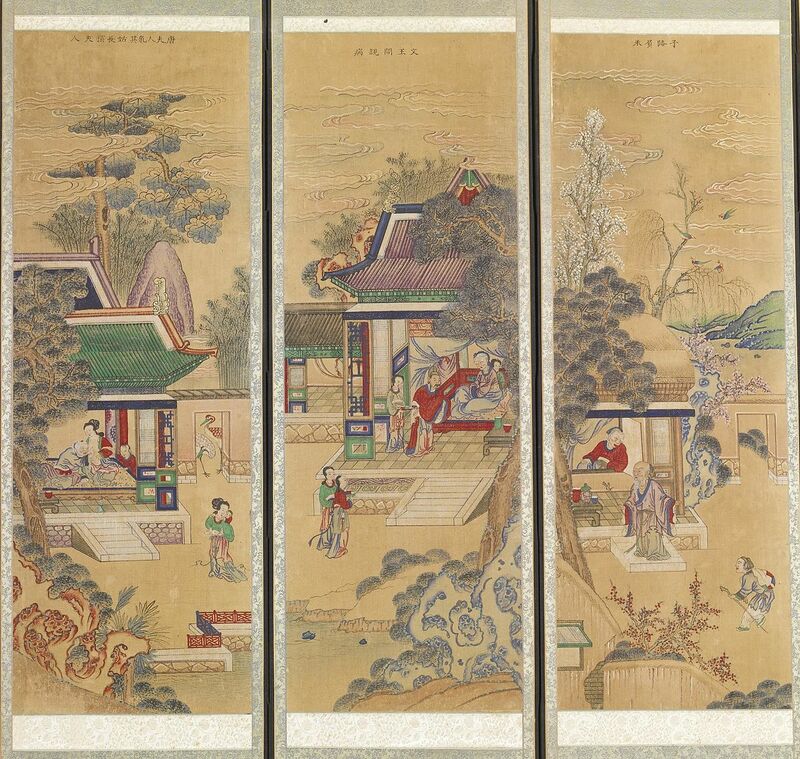 The site provides an online gallery for visitors to appreciate exquisite works of art and offers art essays to provide resources and in-depth information about Korean arts and crafts. AntiqueAlive was recently selected as a Webby Worthy site by Webby Awards. Prehistory to the late 19th Century. Korean artists, news from Korean Culture.org (New York). Information about art happenings in Korea. Exhibitions, festivals, experimental art and music etc. Links for foreign artists who are living in Korea. Old master painters from Korea. List of major Korean artists and index to where their art can be viewed at art museums worldwide. Painters from Korea. A list from Wikipedia. Wikipedia entries on South Korean artists. Korean-born video and installation artist. Arts Council Korea was established to promote creativity and enjoyment of the arts by supporting diverse arts and cultural activities in Korea. Directory of annotated links: overview, art history, museums, institutions, organizations, exhibitions, events, art and new media. Contemporary art with a focus on introducing a wide range of Korean culture and art styles. Venice Biennale Korea 2017 pavilion. Traditional Asian arts and crafts from the Korean gallery of Antique Alive. Traditional music, art pieces, porcelain, mother of pearl, paper craft, home décor like table lamps. South Korean folk art masters. Master potters, wood sculptors, carpenters; artists of decorative knotting, bamboo blinds; craftsmen of jade sculpture, metal art work, bamboo baskets, paper folding fans, feng shui. a depository of historical documents, at Seoul National University. Established in 2005, the Arts Council Korea continues the activities and organization of the Korean Culture and Arts Foundation. The Foundation aims to contribute to better understanding of Korea in the international community by carrying out various exchange activities between the Republic of Korea and foreign countries. A major Korean internet portal. A major English portal site in Korea with information about Korea for foreigners. A portal for Korean academic studies, art news and publications. Multidisciplinary center for contemporary visual arts and film. Collections of ancient Korean objects: ceramic, pottery, tools, tomb-excavated objects, Buddhist artworks, ceramics (Cheong-ja), wood crafts, calligraphy. Traditional Korean art, modern and contemporary art by Korean and foreign artists. Collections and temporary exhibitions of national and international art from the beginning of the 20th century up to the present. Korean cultural heritage, ancient art from Asia. Arko Art Gallery (formerly Marronnier Art Gallery) and performance centre. A large art and cultural center: Opera house, music hall, exhibition hall (Hangaram Art Museum), calligraphy hall (Seoul Calligraphy Art Museum), culture and art information center (Hangaram Design Art Museum). The six main exhibit areas include the main exhibit hall, sculpture exhibit area and a special exhibit area displaying collections of Korea’s modern art. Highlights of the museum include the Cheon Kyung-Ja Hall located on the second floor. Here visitors can view 93 donated paintings such as portraits and still-lifes from 1940 to 1990 by the artist herself. Sonje Museum of Contemporary Art, Seoul (ArtSonje). Contemporary art from Korea, Asia and renowned international artists. New media in Korea and abroad: art projects, research, educational programs. Exhibition space supporting emerging artists. Contemporary Korean and international art. Independent, non-profit space supporting young artists. Art History, museums, galleries, events, artists, critics, curators. From Universes in Universe.